But at least this morning the news from the USA is optimistic for the first time since Trump took office. Sure, there were some disappointments, and much justified anger and frustration about obvious voter suppression by the GOP. But the blue wave did happen, at least for the House of Congress which now holds 219 Democratic seats over 193 Republican. Well done America. Keep fighting! The rest of us need you. 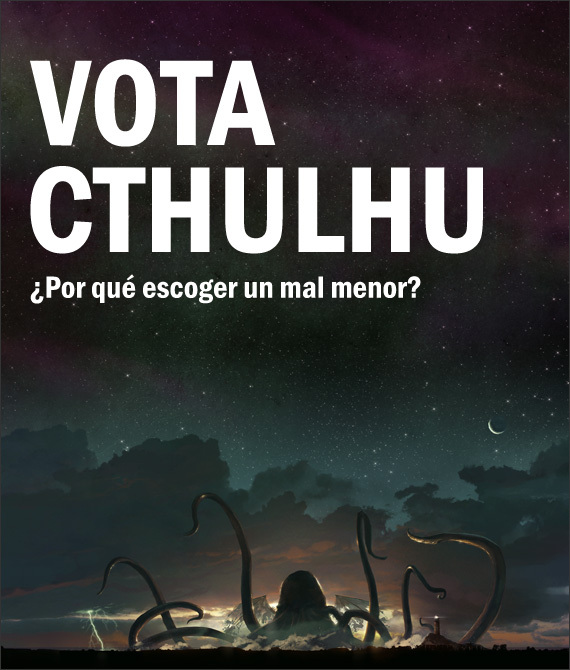 Vote for Cthulhu! Why choose a lesser evil? Check out the Vota Cthulhu Website for videos and more.